The regular busy Monday night crews on the beach last night. 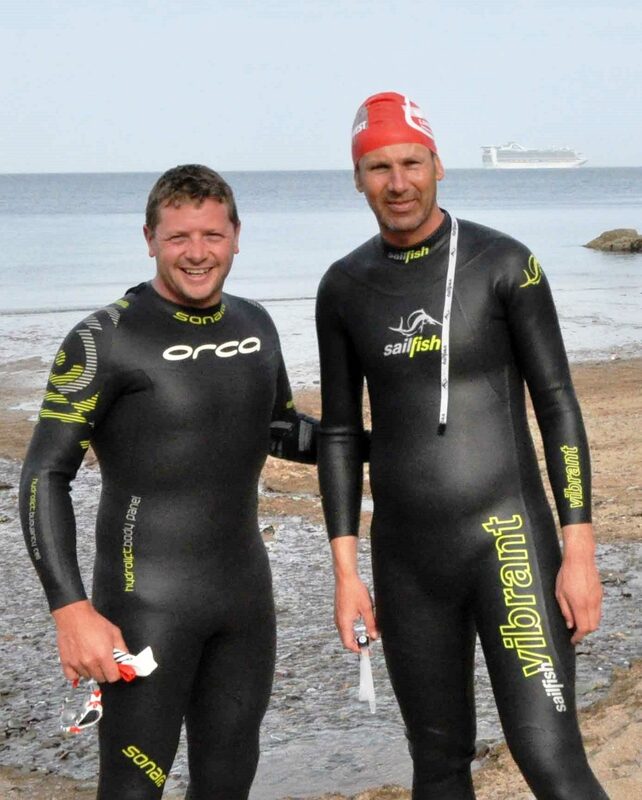 James Slowey (Snr) had his usual couch-potato weekend – just a quick Olympic Tri on Saturday to stretch the legs. 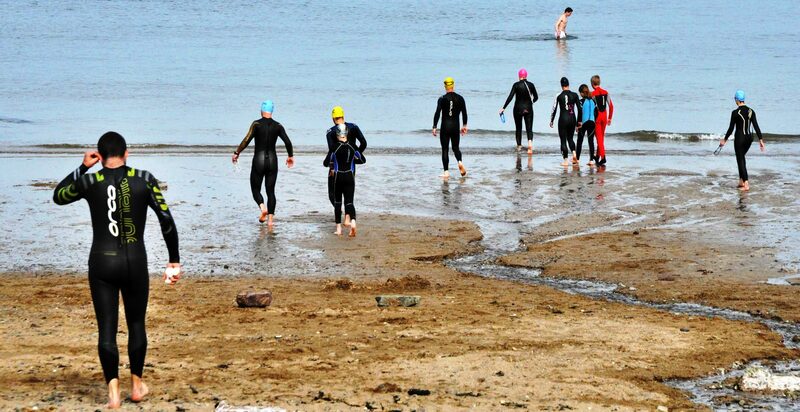 With the sea temperature in Kilkee for the event up around 15c, we’re starting to wonder what we’re doing wrong in Cork: still closer to 12c here but we’re now so used to it we think it’s fine. 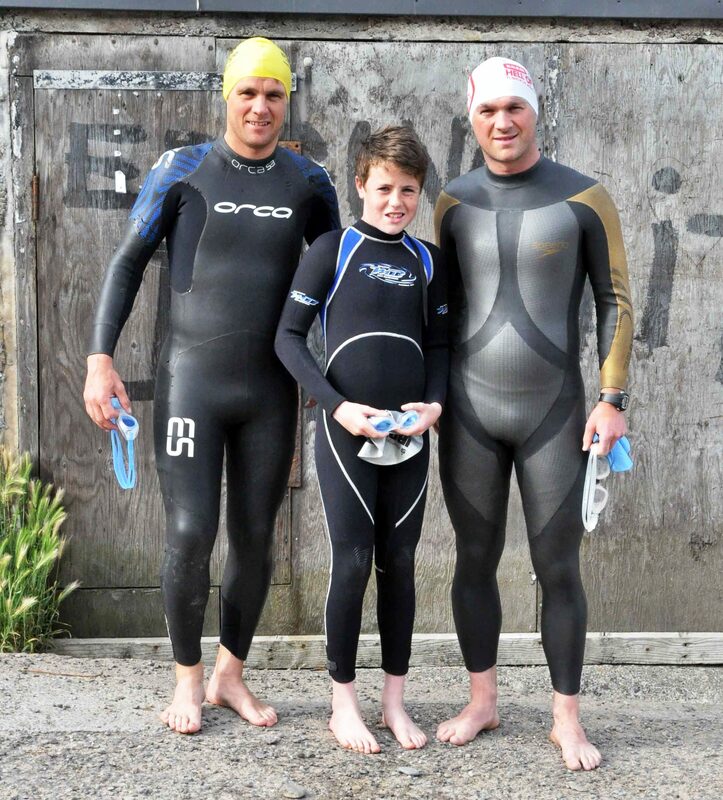 James Slowey (Jnr) – AKA “the young fella” – did a good 500m swim last night also. 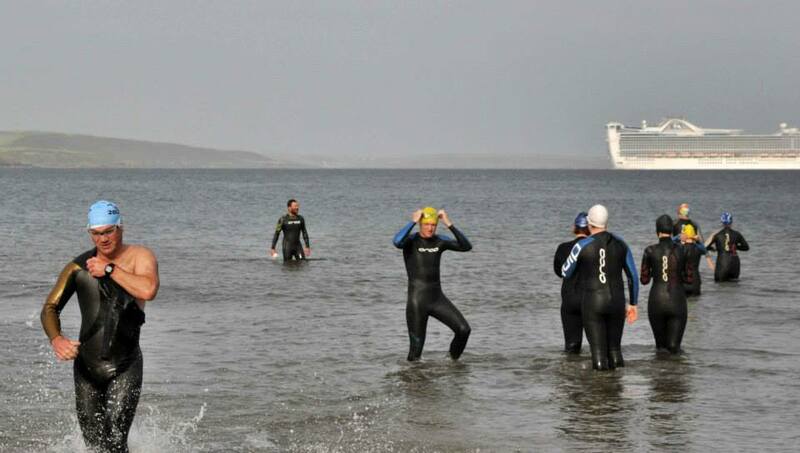 Great to see some of the next generation of Myrtleville Swimmers going in last night. 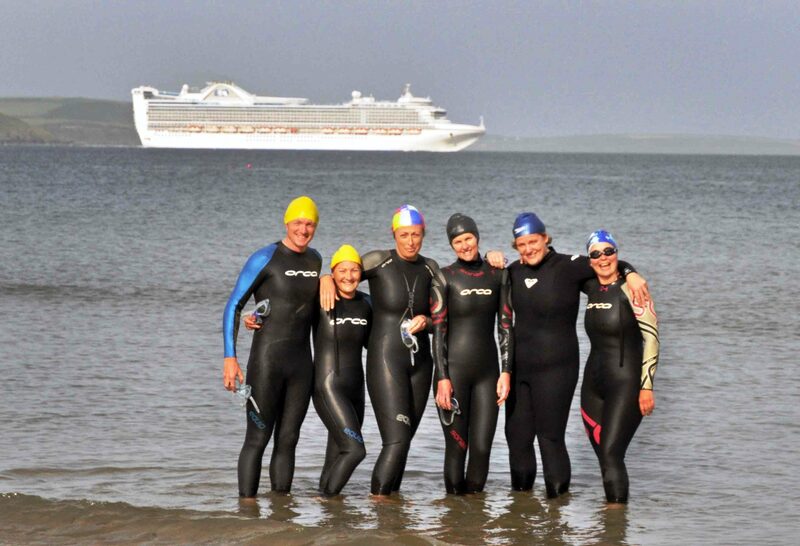 The Crosshaven Women’s Synchronised Swimming team continued their extensive preparations to be the first team to complete the Crosshaven Challenge in perfect harmony. 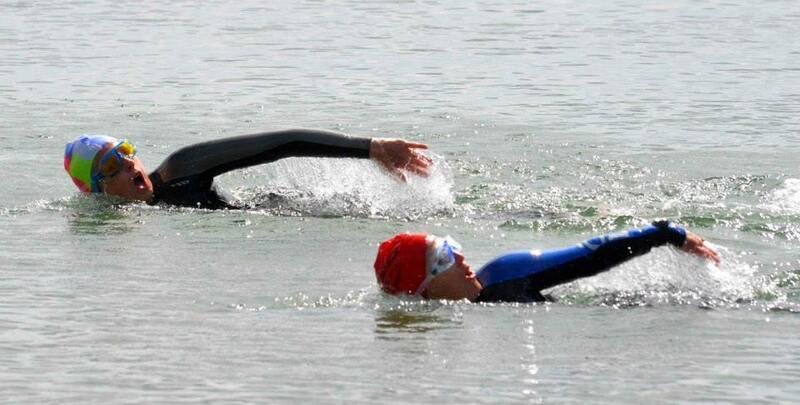 Synchronised Swimming – Michelle Glossop-Smyth and Ger Venner. Coming back to the beach – what a view. 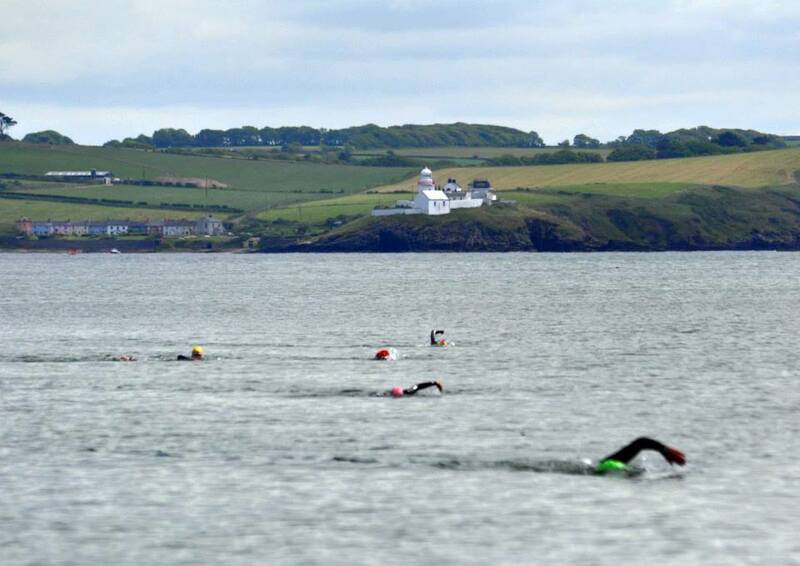 Thanks, as always, to Siobhan Russell for the pictures.